ebrary, is now part of ProQuest Ebook Central. ProQuest Ebook Central integrates key elements from both ebrary and EBL - Ebook Library, along with all-new functionality, delivering a next-generation experience for researchers and librarians around the globe. Designed using the strengths of the EBL and ebrary platforms, ProQuest Ebook Central will feature a user-centered design that will improve ebook research and management experiences from end to end. Product engineers are working in close collaboration with researchers and librarians to create an exceptionally responsive resource. 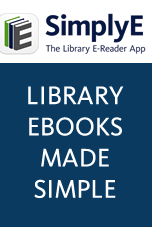 The patron interface for ProQuest Ebook Central and the ProQuest Ebook Central Reader is based on ebrary’s fresh, modern reader. It will span the breadth of patron requirements, from discovery to reading to bookshelf. The reader was recently redesigned, setting a new standard for operability for all users. Device-neutral, the reader offers a robust experience for online reading. The librarian portal—ProQuest LibCentral—is based on EBL’s popular, newly rebuilt LibCentral administrative module. It will support discovery, selection, acquisition, customizable management and analytics of ebooks. LibCentral offers a powerful set of tools to simplify the workflow surrounding ebooks; from streamlined acquisition to customizable administrative tools, support for all access models, real-time usage and expenditure analytics as well as built-in interoperability with key vendors.